This is my take on miso ramen, also known as Sapporo-style ramen. Start by preparing your toppings (as described above). Heat the sesame oil in a large pot over medium heat. Add the garlic, ginger and shallot and sauté until softened. Add the pork and the chilli bean sauce and cook until the meat is browned. Stir in the sugar and sake, then add the stock. Bring to a boil, reduce the heat to low and leave to simmer gently. In a small bowl, mix the miso paste with a ladleful of broth to loosen it before stirring it into the pot. Cook the ramen noodles according to the packet instructions, and drain. Divide the noodles between four large bowls. 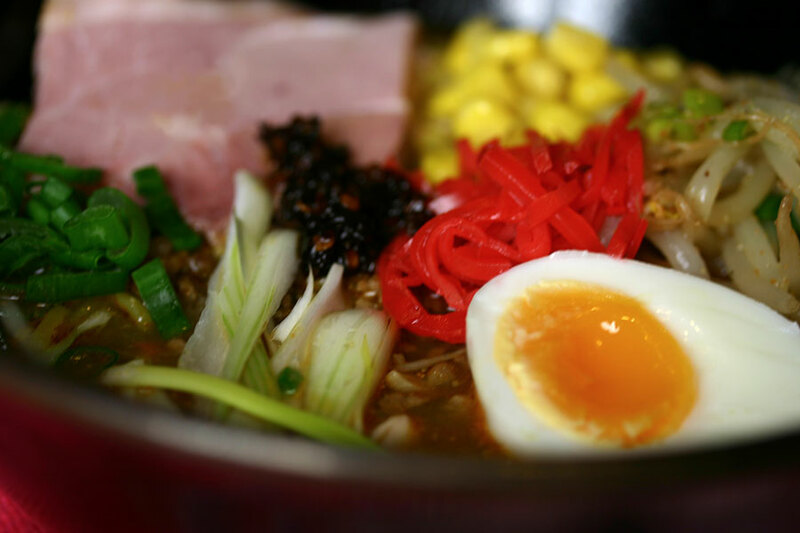 Ladle over the miso broth, then arrange the toppings over the noodles.